Welcome to a very special edition of Health & Safety Middle East magazine, celebrating the magazine’s ten-year anniversary. In this time the region has changed beyond recognition, and we’re proud to have contributed to promoting safety awareness for the last decade – here’s to the next ten. 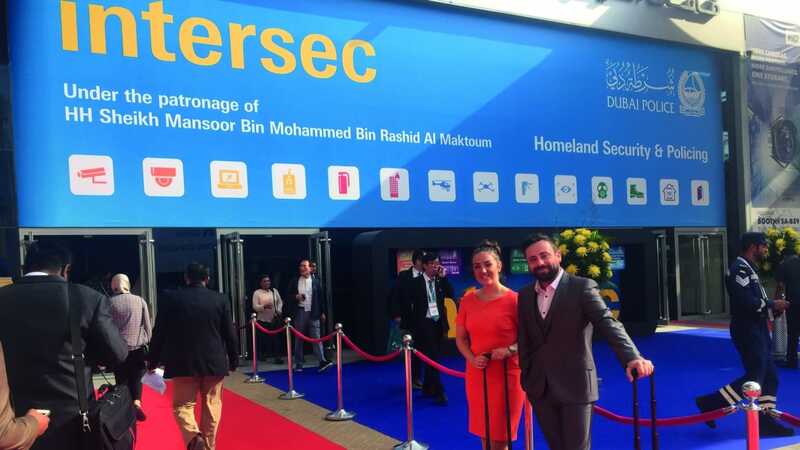 As if that wasn’t excitement enough, the edition also boasts our Show Guide for Intersec – a show which in itself will this January see in its 20-year anniversary. Tom and Keiley from Team HSME will be attending the show along with Maddi from the OSE Directory – do come on over to Hall 8 Stand C39 and say hello. We open this edition with an article on training. Ian Fyall highlights the heavy burden of responsibility placed on the shoulders of a scaffolder and addresses what must be done to support them on their safety journey. Following this, Ali Sadeddin tackles the topic of technical textiles. The mere title a tongue-twister in itself, Sadeddin stumbles not, and navigates seamlessly the segment which encompasses diverse products and applications based on product characteristics, functional requirements and end-user applications. Hearing loss is irreversible, isolating, and life changing, states Jayandran Mohan in his article. If your hearing is damaged in your own time – perhaps from listening to music too loudly in headphones or at concerts – that’s bad enough, but for the life changing injury to take place at work is completely unacceptable and makes the reality of impaired hearing sting that bit more knowing it was caused when all you were trying to do was keep a roof over your family’s head. When we think of safety lighting the mind heads straight for torches, scene lighting, ATEX lighting and all manner of aids to illuminate and avoid potential hazards. Yet, as explained by James Pretty, if not orchestrated with a considered approach workplace lighting can also be blinding, or can create shadows and thereby conceal, rather than reveal, the onsite hazards. Confronted by surfaces made slippery by chemical spillages, hydrocarbons, and adverse weather conditions, it’s little wonder that the oil and gas industry sees more than its fair share of injuries caused by slips trips and falls. In the penultimate article of this anniversary edition, Shahram Vantaparast considers the measures necessary to stop slip trip fall injuries in their tracks. While there are many different types of illnesses that can be transmissible from poor air quality, there are five major diseases that affect labourers. To close this edition, Joe Oot looks at silicosis, mesothelioma, COPD, lung cancer, and occupational asthma.